I started reading the ‘Heaven trilogy’ by Ted Dekker some weeks back. A book he wrote when he was dealing with the death of his 33yr old brother. Obiola would have been 32 by August. As much as I’m learning to deal better with the concept of ‘Death’ in this ‘Earth’ as part of this whole ‘Life’ series equation that we’re in, and the fact that which each lesson you learn or are learning there comes a time to test the value of what you have learnt, this is a ‘test’ you don’t exactly look forward to. From what I’ve learnt, Obiola is probably looking down and saying, in his usual funny + calm and easy + ‘chop life’ manner “Omo, guys, I know say how I waka dey messed up, but meeeehhhn, this side wey I dey, the place dey tiiiight!!. Una sure say una no go do come join me? I’m better off here o.” And then he’ll just give that his laid back smile. The dead are dead and have moved on, it is we who are still living that grieve and are left with the worries and struggles of life. 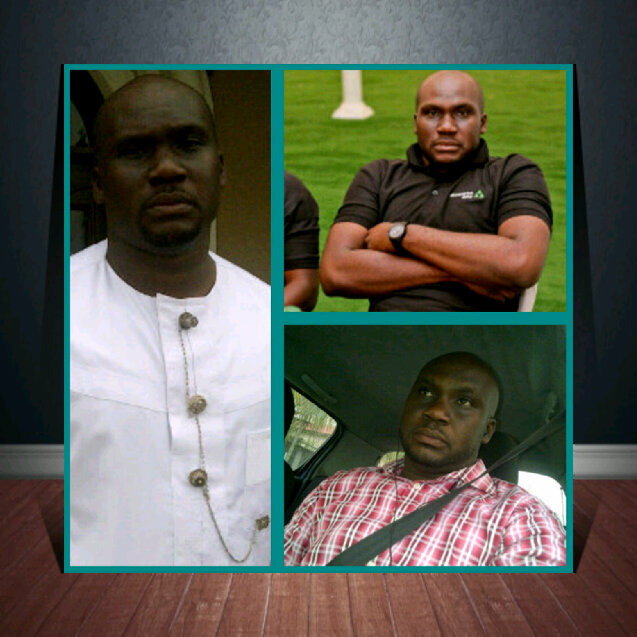 Obiola Ikpoki, you’ll be missed on this side my brother, you’ll be sorely missed. For it is in our readiness to die, that we indeed begin to fully live. #NoteToSelf Life, live it like you’ll soon leave it; for Death is only – The Beginning. I’ve been pondering on this verse of the scripture since I read it yesterday. So why do people make it look like we are to just swallow everything we hear from the pulpit without questioning? In my opinion, as long as you have the Spirit of God in you, regardless of who the message is coming from, if your spirit doesn’t accept it, then don’t do it. If that WORD is truly from God, with time he will break it down to you, if not, do not take any step that God’s spirit in you has not convinced you about. – Receive the word of God with all readiness of mind. – Search the scriptures daily, to see whether the thing’s (WORD) you’ve heard are so. In the house of God, there is no such thing as taking someone’s word ‘hook-line-sinker-fisherman-and-boots’. Let God confirm the words and speak to your spirit himself, he’s not an author of confusion. It’s him you’re serving, right? It’s him you want to live for, right? And he loves you, right? I then believe that if he wants to pass a message across, he’ll not leave you confused about it, he’ll make sure your heart understands what he wants you to do. So I say this to you as I say it to myself, (adds #NoteToSelf), when listening to that person’s opinion who you so respect in the things of God, and a question suddenly rises in your heart, don’t feel bad, don’t shut out that question, it means God wants you to search deeper about that matter. Go ahead and do just that until your spirit is settled within you. He/She has spoken, now, let GOD speak! I’m currently going through ‘character therapy’ sessions as I like to call it and I thought to share what I’m learning. I hope it helps you too. Anyway, what does the above then translate to? It means, we should display the character of Love. – Love endures long and is patient and kind; love never is envious nor boils over with jealousy, is not boastful or vainglorious, does not display itself haughtily. – It is not conceited (arrogant and inflated with pride); it is not rude (unmannerly) and does not act unbecomingly. Love (God’s love in us) does not insist on its own rights or its own way, for it is not self-seeking; it is not touchy or fretful or resentful; it takes no account of the evil done to it [it pays no attention to a suffered wrong]. – It does not rejoice at injustice and unrighteousness, but rejoices when right and truth prevail. – Love bears up under anything and everything that comes, is ever ready to believe the best of every person, its hopes are fadeless under all circumstances, and it endures everything [without weakening]. – Love never fails [never fades out or becomes obsolete or comes to an end]. As for prophecy ([a]the gift of interpreting the divine will and purpose), it will be fulfilled and pass away; as for tongues, they will be destroyed and cease; as for knowledge, it will pass away [it will lose its value and be superseded by truth]. You might not at the moment feel like you’re any of these (those of us who need this therapy mostly aren’t anyway), but like the bible says in 2 Corinthians 3:18 “…The more we behold the more we become…” (paraphrased). Put these characteristics before you (in your minds eyes) and keep ‘beholding’ them and soon you’ll become the express image of all that you see here. Aug 9th – Chika’s wedding, Sept 6th – Nyikus’s wedding, then Jen’s, then Kachi’s, then Barbie’s then…..
Where in heaven’s name are all these people running to. Is there like some whistle blowing somewhere signalling a “Time to get married everyone” period? Geez, it’s forever, you and him, from different backgrounds, together in one house, under the same roof, same bed sometimes; whether his fart smells like 2 weeks old rotten egg (or yours does LoL :D). I hear that even if he makes you “VERY” angry in the morning and comes back home at night with a smirk-like smile on his face ( u know how guys conveniently forget they are the reason that frown is on your face, heaven knows where they go to empty the contents of their brain) and touches you at night wanting “something”, I’m told there is no “Shakara” on that side of the fence ooo and by law it’s “OPEN SESAME” because it’s his RIGHT (KAI!!!) – and yours too when its your turn to get him upset hehehehe. I also hear there are benefits too, you know, when it comes to decisions, 2 heads being better than one (that’s assuming his head is good and yours is too) and bills paying (for non-Ijebu immigrants). When your mum or dad or siblings get you upset, there’s the “blood” factor that helps you wipe their slate clean because its “family”. Meeen, but this is different, this guy is aaaaaaaarrrrrggghhhh. Ok, I guess when you say “I DO” there’s some supernatural power for special forgiveness that comes on you right? I hope there is such a thing ‘cos heaven knows I’m gonna need loads of it. I hear at this point too you look for ways to rekindle the flame aye, keep the fire burining eh? It most certainly is not a sit-cross-leg-and-enjoy-the-show matter. Looks like maths to me – permutation and combination. Lord help us…… ‘cos it’s that or grow old ALONE, yikes!! At lunchtime today, an ad was running on TV, kids were saying what they would want to be when they grow up (if they grow up). I was touched to hear such innocent ambitions and I said “awwww, dats sweet” and Mag says “Hmmmppphh, stooory, all of that will never happen and I’ll prove it right here and now, in this canteen”. So the survey started, and yours truly started asking everyone what their dreams where when they where younger. Akin said he wanted to be a policeman (I work in an IT firm by the way), Kunle wanted to be a pilot, Glo wanted to be a nurse (I forgot to ask Ms. B, the caterer what her dreams where). And so in less than 5 mins, in a room with about 12 people only Chidi wanted to be an engineer which he is now, hmmmpphhh. In summary, Mag’s theory proven without much arithmetic….. but I still believe….. Your word is of no personal interpretation, it was sent to us for a purpose, let that purpose be fulfilled in our lives, let your word sink deep into our hearts bearing the fruits you desire that it bears in us, in Jesus name, Amen. What changed for Obama right after the election when he became president-elect of the United States of America? His security was beefed up, he was briefed by the secret service intelligence agency, he has access to inside information, he’s sitting with advisers on national matters etc.. All this, after the election. The bible talks about the physical realm being a mirror of things in the spiritual. – The Holy Spirit begins to reveal deep things to you; he gives you insight into matters. You relate with him as one because you understand his language as an elected one and you know when he is speaking. It would be strange at this time for Obama to begin to worry about things like house rent, what he and his family will eat the next day, school fees for his kids e.t.c, he has no cares or worries over such matters now because they will automatically be taken care of as a result of his election. His priority now is assuming the elected post and doing the work of the office he has been elected into. This is one elected by men….. Imagine being elected by God, you should not begin to worry about that challenge, that sickness, that debt that….. whatever it is that brings you worry. When he called you he made a provision and all you have to do is step into the office you’ve been elected into and begin to perform the duties required, just like the bible said – seek first the kingdom of God and every other thing will be added unto you– get acquainted with the requirements of this office through Gods word and begin to work is supper protection and abundance. Begin to touch lives, be God’s hands of healing to a broken world. If you have doubts that just maybe, you might not be able to function well in the calling which you’ve been elected into, have no fear, faithful is the one who called you and he’ll equip you with all that’s required for a successful time in office. And guess what, you’ve been elected into an office that you’ll occupy throughout your life time because only you can reach your world for God. So rejoice and take up your office and its entitlement with joy!! GOD says “Wives, be subject (be submissive and adapt yourselves) to your own husbands as [a service] to the Lord.…”. I’m not married and like they say “some things are easier said than done”, still, these are my thoughts on SUBMISSION to one’s husband. It’s kinnda tough to suddenly realize that the marriage step you took means you loose your rights to making any move on your own (hehe, you didn’t know? Well, now you do), all decisions have to be approved by him. Yes, that tough independent you has to discuss your next steps with him and if he approves of it, you go ahead and if not, OUT goes that bright sparks idea, lol. Why doesn’t he agree with me? Is it because it wasn’t his idea? Does he feel threatened by it? All these thoughts and more begin to run through your head. But, here is what I feel the solution is……………. God is the ultimate one we all should be submitting to, a relationship with God is already one of submission. You tell him about your plans and wait for his instructions on what steps to take. You trust that he loves you so you let your guards down and you do just what he says; to go or not to go, not ur choice but his . things [that she might be holy and faultless]. – Even so husbands should love their wives as [being in a sense] their own bodies. He who loves his own wife loves himself. God’s instructions to him are simply: love her, provide for her, protect her, CHIKENA! God loves you, he has your back and this man is submitting to GOD, baby, you are SOOOO Covered!!! So the question now is, What is your man submitting to? That should help you know what you are or will be submitting to.